Midtown Podiatrists at NYC Podiatry Center of Excellence in New York, NY are top foot specialists in the area of foot & ankle medicine and surgery. The founder, Dr. Isaac Tabari, is world-renowned adult & pediatric podiatrist / children's foot specialist in Manhattan. Board certified by ABPM, with multiple awards oh his track record, VIP & Celebrity patients, he is in private practice at 136 E 57th St #801, New York, NY 10022. Medico de los pies en NY. Welcome to NYC Podiatry Center of Excellence! We treat all sort of nail problems, such as ingrown toenails, fungal toenails, thickened, blackened, bruised nails. 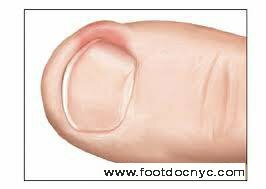 At NYC Podiatry Center, we treat: Heel Pain, Bunions, Hammertoes, Athlete's Foot, Corns & Calluses, Broken/Fractured Foot, Diabetic Foot, Foot Arthritis, Morton's Neuroma, Plantar Warts and much more. A new state of the art treatment is now available for toenail fungus! 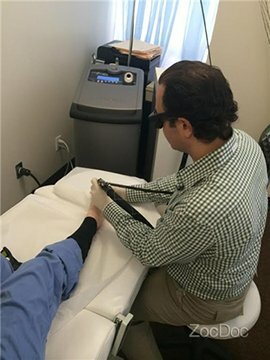 NYC Podiatrist, Dr. Isaac Tabari offers laser treatment for fungal nails. Dr. Isaac Tabari offers complete care for any age and cutting-edge techniques to treat foot and ankle diseases, injuries and other disorders that may be slowing your child down. Named one of NYC's most influential podiatrists and Top Podiatrist (Consumer's Research Council of America), Dr. Isaac Tabari is Board Certified (ABPM) and highly trained in his field, caring for patients from all over the NYC and tri-state area for common and very complicated foot disorders. Our mission is to passionately pursue the health of our patients by providing the highest quality medical and surgical care in a safe, effective and efficient manner with superb service and state of the art technology. Our patient reviews and testimonials speak for themselves as the best praise we get is when it is from our patients. Here's a sampling of video testimonials from patients treated in Dr. Tabari's NYC Podiatry Center of Excellence. Should you wish to share your experiences, feel free to e-mail us. There are 300+ foot conditions that may occur anytime during a lifetime. Dr. Isaac Tabari specializes in foot medicine and surgery, as well as diabetic foot care, beginning with infancy. Babies can experience ingrown toenails and overlapping toes, children can have foot warts and heel pain when growing, and adults should have annual checkups for ingrown toenails, foot bunions and general wear and tear on their feet. We are in-network podiatry providers for MANY insurance plans, including private plans, employer plans, local plans, unions, many Medicaid / HMO plans and Medicare. 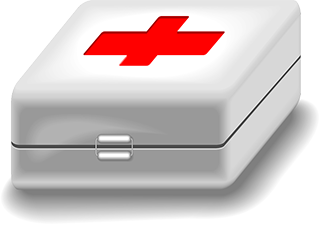 If you do not see your Insurance Company listed in the link below, please contact your carrier; there is a good chance that they will cover your office visit with your Out-Of-Network Benefits. If you are in need of a consultation with the foot doctor, call the office and a qualified staff member will assist you in scheduling your appointment. Our Center in the Press! Read the media articles where Dr. Tabari has been quoted. ***Great News! We listened to our patient input! NYC Podiatrist open Saturdays now! Our podiatrists strive to learn about and stay on top of all new developments in podiatry. We are on a mission to provide you with the most innovative and technologically advanced foot medicine available today. We strive to give our patients the healthiest and best looking feet possible. We have delivered complete foot care, from routine checkups to simple in-office procedures to thousands of advanced reconstructive surgeries to our patients for 20+ years. In other words, we are experienced to handle all your podiatric needs. Our reviews speak for themselves and referrals from both our patients and our medical peers recognize us the best in our field. We have a great bedside manner and take quality time with each of our patients. We have a very central location in East Midtown Manhattan, easily accessible by public and private transportation. We have bilingual staff who are able to attend to the needs of our English, Spanish, Russian and Farsi (Persian)-speaking patients. 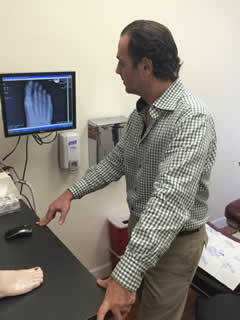 NY Podiatrist, Dr. Isaac Tabari's Giude to Happy Feet! On average, people take 10,000 steps per day, walking about 115,000 miles per lifetime, enough to circle the world 4 times. What do you do to make all this walking comfortable and to keep your feet happy? INVEST IN QUALITY SHOES!